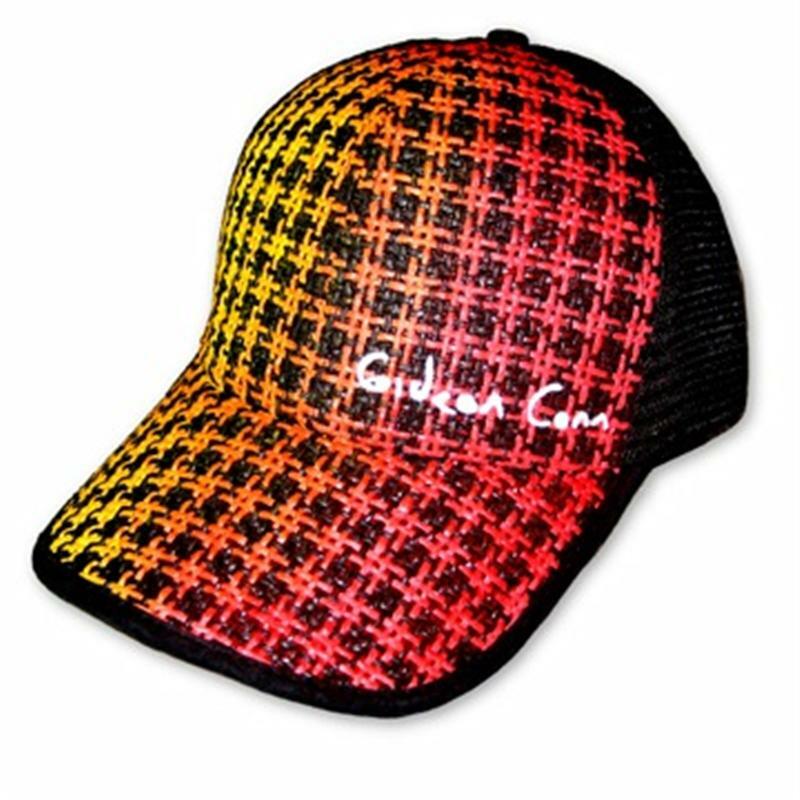 This cap is the official Gideon Conn ‘Fiery Dogtooth’ cap. Official Merchandise available exclusively through the website. Hand sprayed in the UK. Front is woven cotton, back is plastic mesh with adjustable strap. To speak to hot Gideons in your area, check out his MySpace for info and gigs. And keep your eye on our News Page for more YNM/Gideon Conn collaborations. Copyright © 2004-2019 Yes No Maybe. All rights reserved.